If you are a fan of salt then you will love this little bundle of love. The salt here comes from the capers and the.....anchovies!!! Don't fret just try them they are delicious! I mean you may not exactly know this but that unique, yummy taste in a caeser salad are these little filets! 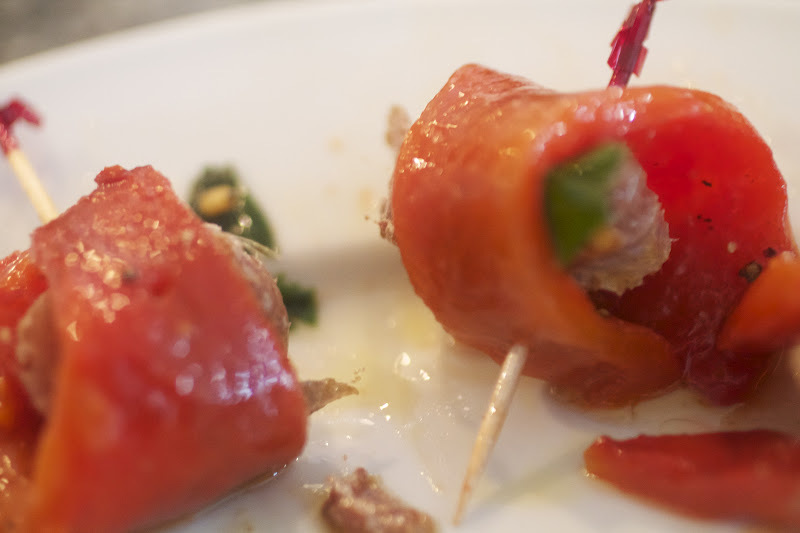 This can make a great snack, appetizer or tapas. 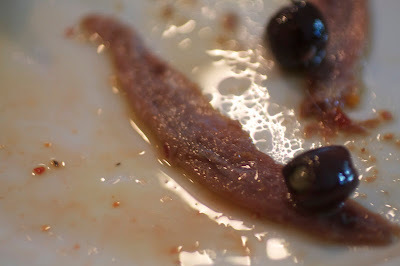 Step #1-Lay out one anchovy filet that was packed in oil and red pepper. Next take one taggiasca olive and stuff it with as many caper berries that can fit! 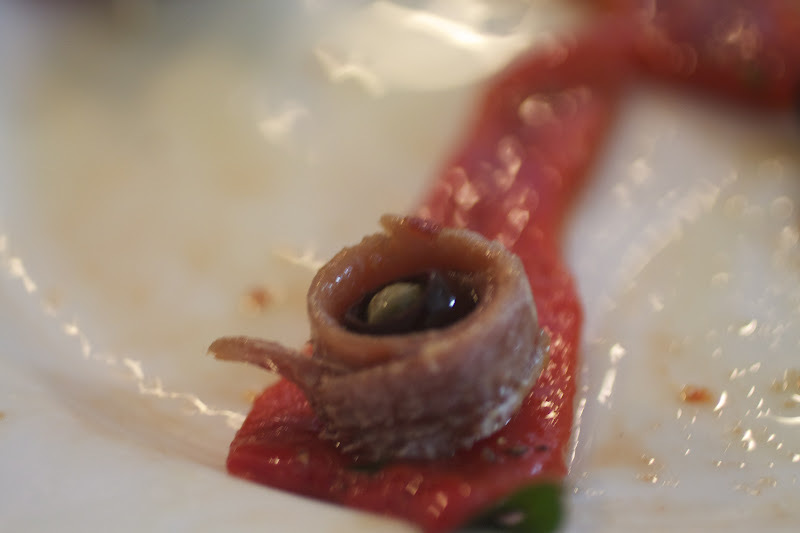 Place the olive sideways on top of the anchovy. 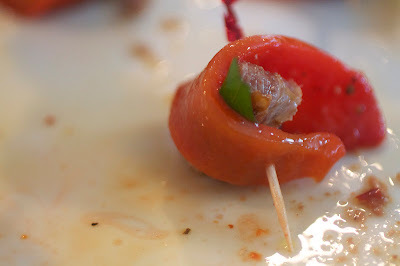 Step #2-Roll up the anchovy and olive bundle and place it olive side down onto a roasted pepper (mine were homemade). Step #3- Roll it all up! Stick a tooth pick through it and you are all set! Ps- Sorry I have been slacking on the blogging lately...I am in the process of getting my own url! This entry was posted in Little Bites,Recipe by Catherine Amoriggi. Bookmark the permalink.